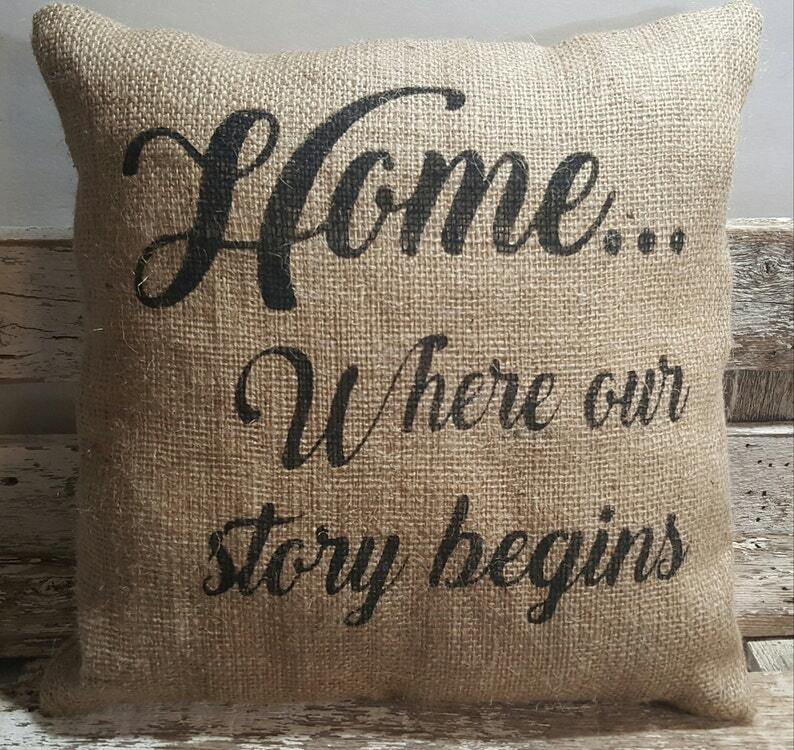 Home...Where our story begins Burlap Stuffed Pillow is made with a high quality burlap and lined with cotton muslin. I have lined this pillow so that no white fiberfill shows through your pillow, this gives your pillow a very sturdy feel. This pillow will look so lovely in your home, letting everyone know how you feel about your beautiful home! While giving your home a nice comfy feel to it. Home...Where our story begins letters are painted black on the front of the pillow.